wow! what a gorgeous collection! want them all.. wear one on each finger! i like that licorice allsorts one! This is one of my favourite collections. So pretty. 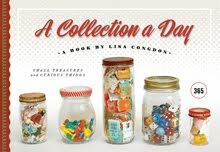 Oh that's so lovely - what a beautiful collection! I love these! Where do you find such awesome things? Love this one! A fun collection! oh these are just fabulous!!!!!!!! oooh! so many lovely rings here! I'm a fan of the green rose.